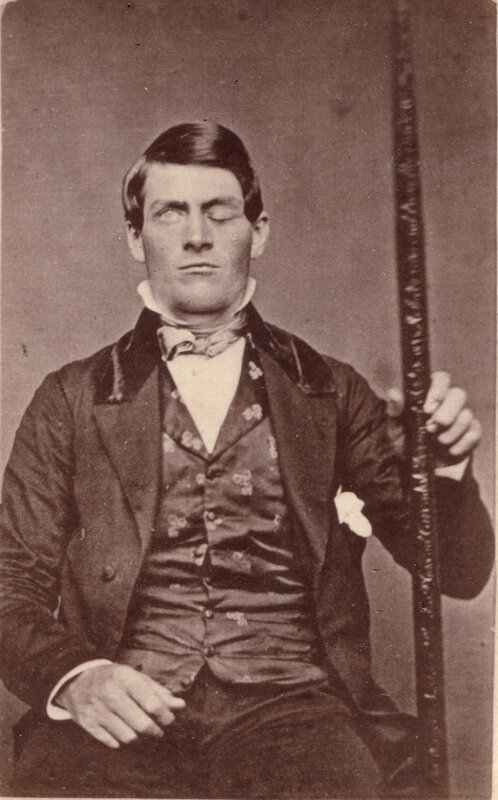 The Curious Case of Phineas Gage’s Brain – Jon Hamilton. 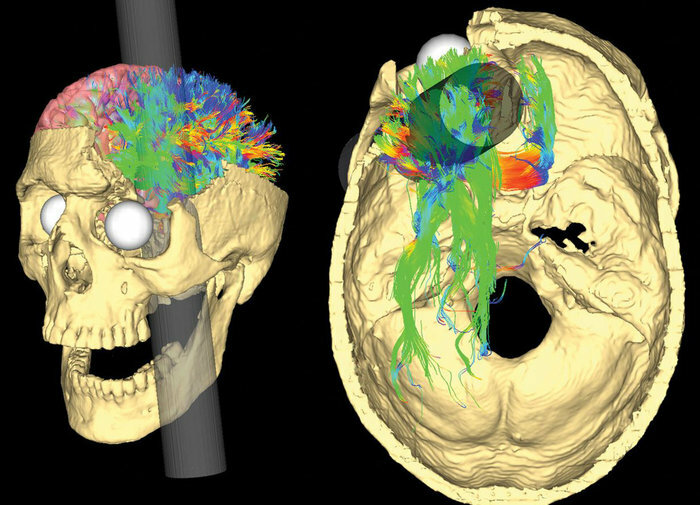 It took an explosion and 13 pounds of iron to usher in the modern era of neuroscience. In 1848, a 25-year-old railroad worker named Phineas Gage was blowing up rocks to clear the way for a new rail line in Cavendish, Vt. He would drill a hole, place an explosive charge, then pack in sand using a 13-pound metal bar known as a tamping iron. But in this instance, the metal bar created a spark that touched off the charge. That, in turn, drove this tamping iron up and out of the hole, through his left cheek, behind his eye socket, and out of the top of his head. Gage didn’t die. But the tamping iron destroyed much of his brain’s left frontal lobe, and Gage’s once even-tempered personality changed dramatically. This sudden personality transformation is why Gage shows up in so many medical textbooks. “He was the first case where you could say fairly definitely that injury to the brain produced some kind of change in personality,” says Malcolm Macmillan, an honorary professor at the Melbourne School of Psychological Sciences. Previous PostScience Explains How The Beach Can Change Our Brains And Mental Health – Elizabeth. Next PostBasic Income in a Just Society – Brishen Rogers.